Nass Scafform is part of Nass Corporation, a major diversified construction and trading organisation, which began business in the Kingdom of Bahrain in 1963. Formed in 1990 to meet the growing needs of Nass companies for a professional and competitively priced scaffolding service, Nass Scafform's clients now include reputable regional and international companies who have been attracted by the quality of service provided by the Company. Today, Nass Scafform is one of the leading scaffolding companies in the Gulf, with a highly trained, qualified and motivated workforce approaching 1300 employees with an equally significant inventory of materials, transport and equipment. Having achieved a dominant market position in Bahrain, Qatar, Saudi Arabia and Abu Dhabi our vision is to be recognized as the leading provider of scaffolding services throughout all Gulf countries. We will achieve this by maintaining our reputation for quality, safety and service, while continuing to meet the needs and exceed the expectations of all our clients. 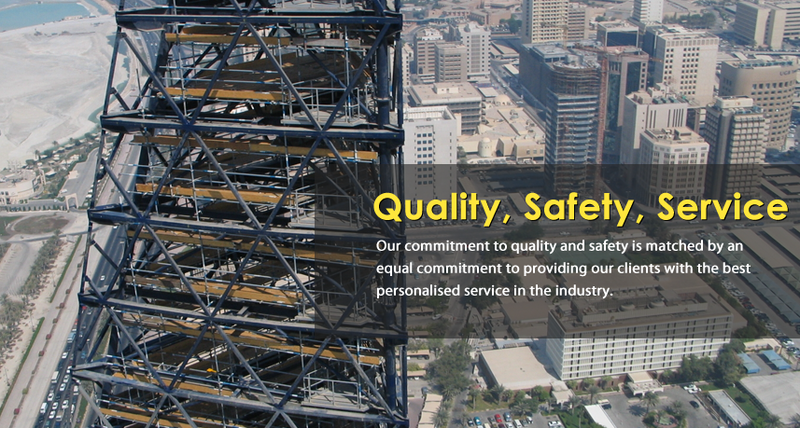 The latest Scafform Operation was launched in 2010 and has quickly established itself in the UAE market.